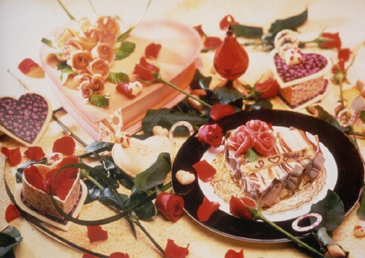 The biggest festival for couples, Valentine's Day is a few weeks away and four Accor Group hotels in Seoul, Sofitel Ambassador Seoul, Novotel Ambassador Gangnam, Novotel Ambassador Doksan and Ibis Seoul, feature Special Valentine's Day menus on Feb. 14, 2006. Garden Terrace at Novotel Ambassador Doksan features a special couple's dinner for Valentine's Day. The couple dinner uniquely provides a private table surrounded by curtain wall for the sweetest time for the couples. 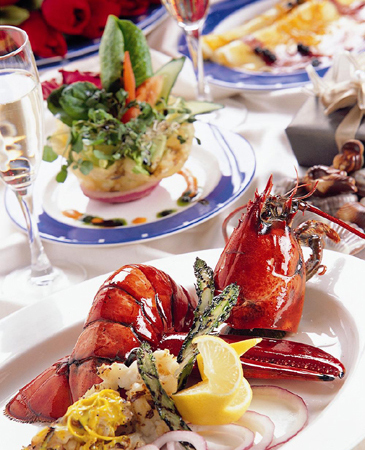 The dinner includes unlimited salad and fresh lobster with two glasses of wine. The price is 110,000 won for a couple. Restaurant "La Table" at Ibis Ambassador Seoul features a special Valentine's Day dinner on February 14. The special menus selected by the chef include Cream of Pumpkin Soup served with crouton and chestnut chip, Seared Ocean Scallop with White Asparagus served with water cress and sesame seed sauce, Lemon Sherbet, Pan fried Red snapper with Broiled potato and warm celery leave salad served with gray shrimp. Also, classic Italian dessert "Tiramisu" and Petit Four (Ibis Chocolate) are offered as desert. A special Valentine's Day photo shot will add more delight on the special night. The price is 49,000 won per person. The bistro at Novotel Ambassador Gangnam presents a special Valentine's Day course dinner. The special course dinner features a main dish (coated beef medallion with fried shrimp ravioli with onion coulis or halibut with mushroom crust and fried leek) and a glass of wine plus special strawberry cake for dessert. The price is 65,000 won per person. Come join at the bistro for your sweetest Valentine's Day ever! "Cafe de Chef" at Sofitel Ambassador Seoul presents special dinner for Valentine's Day, Feb. 14, 2006. The special dinner features a six course menu with the main dish (Filet of Beef "Rossini Style" or Poached filet of on Spinach with Caviar Beurre Blanc) along with a glass of Champagne and another glass of red wine. Also, couple Valentine Cake is offered as desert to create sweet memories of the couples. The Valentine's Special Dinner is 150,000 won for a couple.